If you or someone you know has been injured in a Nebraska motor vehicle accident, you should seek the counsel of a skilled, diligent accident injury lawyer right away. When you have been injured in a car accident and it was not your fault, you have the right to be fully compensated. That includes all of your bills or special damages as well as for your pain and suffering or general damages. The at-fault driver’s insurance can be expected to do everything they can think of to low-ball your injury settlement. A knowledgeable and aggressive accident attorney like Steven Montag can help you make a successful claim and get the money you deserve. My office does not work for insurance companies. We only represent clients who have injury claims against them. I do not have confused or conflicting loyalties. I do all of my work on a contingent fee basis so when my clients do well it is good for me and my business. The Montag Law Office has a long history of advocating for victims rights. Our clients’ well being and getting the best settlements or court judgments possible is a top priority for all of our cases. We handle all but the most minor of injury accidents. If you were injured badly enough to require a significant amount of medical treatment, just paying the bills would not set things straight. You need to have all of the bills paid, be reimbursed for your lost wages and get good compensation for your pain and suffering. Pain is not normal and you should not settle for anything less than a good recovery from your injuries. Sometimes it is not possible to get back to pre-accident condition. In either case, you deserve to be compensated appropriately. Our office has dealt with many situations. Our expertise enables us to give you good advice in any situation. We manage communication with insurance companies and medical providers. We help avoid potential pitfalls when dealing with insurance adjusters and anticipate problems with your claim. We carefully present the claim in the most positive way we can. Steven Montag is a Nebraska motor vehicle accident injury lawyer who devotes his entire practice to injury law. If you have been injured in Omaha, Lincoln or other parts of Nebraska, the Montag Law Office can help. We have dealt with almost any kind of accident imaginable. The Montag Law office has represented people for a car, truck, motorcycle, bicycle, and pedestrian accidents. I have dealt with head-on collisions, rear-end collisions, relatively small accidents, and catastrophic accidents. I have seen all kinds of injuries including head injuries, back or neck injuries, broken bones, disabling and disfiguring injuries. We have dealt with all types of insurance claims including uninsured or underinsured claims, hit and run accidents, Political Subdivision claims and accidents caused by distracted or impaired drivers. I have even handled claims involving injuries to a passenger of a driver involved in a high-speed collision during a police chase. Farm animals have also been known to cause some serious accidents. A dark-colored runaway cow on a rural highway can ruin your night. The possibilities are nearly endless. No two accidents are exactly the same. We are very thorough. I always want to be sure my clients have made the best recovery possible from their injuries. That includes going to the right doctors and being persistent enough to leave no stone unturned in the effort to get you back to good health. I believe in being very aggressive and insisting on getting the best compensation possible for my clients. We can be counted on to do whatever it takes to win your case. Steven Montag is an auto accident injury lawyer and a tough negotiator who has successfully settled thousands of cases and made millions of dollars for his clients. We will also take your case to court if the right settlement cannot be reached. If you are reading this advice a while after an accident, some of the things I say may be water under the bridge. However, it is never too early to get on the right track and do the right thing. Just try to remember what I said next time you have an accident. Call for an Ambulance – if anyone is seriously injured and in need of emergency medical services. Get the names of all drivers and their insurance information – Do not get chatty with them because any statements you make, especially expressions of regret or saying you are sorry could be misconstrued later to be admissions of fault. Take pictures of the vehicles and license plates – If you do not have your camera phone handy, write down the plate numbers. Get the names and telephone numbers of all witnesses – Also talk to them about what they saw. Take notes if possible. Get the medical treatment you need right away – Sometimes you will need to go to the hospital right away. Other times you might need to settle down and stiffen up before you even realize that you were hurt. A delayed onset of symptoms is not unusual. As soon as you decide that you have been hurt and that you will require medical treatment do not delay. If you take more than a few days to get to the doctor, the causation of your injuries will be questioned. An insurance adjuster will probably try to say that you must have hurt yourself after the accident. We want you to get the treatment that you need to recover from your injuries and we want you to be able to prove your injury claim. An initial free consultation will allow you to evaluate whether or not the lawyer can help you. 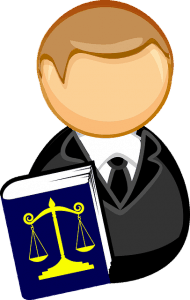 You can learn about the lawyer’s experience and area of practice. At the same time, you can discuss your situation and learn about your rights as well as deciding what you need to do for medical treatment. You have several things that you will need help with soon after an accident. One of the first things you need to do is get your car repaired or replaced. You are only compensated for the fair market value of the car so you do not want to be charged a fee for that part of the claim. It is a good idea to look for an attorney who does injury law full time. A part-time injury lawyer might not have the skills needed to be the best possible advocate for a car accident. Look for someone who has a proven track record of success. If you have a copy of the police report have it close by when you call. It would probably be good to read through it to refresh your memory before you call. If you have information about the insurance companies involved and the doctors or hospitals that have treated you it would be good. It is also useful to be ready to text pictures you have of your car or other cars involved in the accident. Although these things are useful pieces of information, you do not have to have all of them together to discuss your case. If you have any questions call. I am glad to take calls seven days a week and evening and weekend calls are welcome. My initial consultations are always free so there is no reason to wait to find out if you have a case.